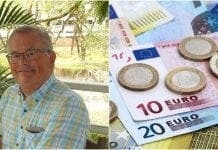 In 2012, when the seeds of the project were sown, some might have questioned the sanity of spending €8.2 million on an urban garden in a beach resort. But it wasn’t such a potty idea. I KNEW there was a floral thing going on in Estepona but nothing quite prepared me for the botanical binge laid on for visiting Costa Press Club journos on the only sunny afternoon in soggy April, by invitation of the Mayor; a mayor who is clearly potty about plants. Some astonishing stats were quoted on our perfumed promenade through town: 20,000 geranium pots and planters embellishing 100 cobbled alleys in the Old Town – painted and polka-dotted in rainbow shades, a different colour for every street; one million spring flowers bedded in along 16km of roads, adding to the olfactory overload; 1,500 species of rare orchid sheltering in a triple-domed designer hothouse with an indoor waterfall; and an unlikely trio of bulbous Argentinean baobab trees gracing one of 11 new public green spaces. The colourful cornucopia could move the dullest soul to poetry but for that there’s no need. Witty ditties penned by famous bards past and present are inscribed on 30 ceramic plaques throughout the streets and chocolate box plazas, including an excerpt from Shakespeare’s As You Like It. He’d love it, especially as every contributor has been honoured with a bust of their likeness in a newly-inaugurated Poets Corner. A collection of 31 sculptures, from classical to Henry Moore modern, and 50 giant murals to brighten up unaesthetic tower blocks were commissioned by the Mayor to complete his vision of Estepona as a walk-through open-air museum. Not since the Renaissance has a Spanish town seen such a flowering of art, literature and horticulture. Last month, Estepona got the green vote from 500 national parks and gardens experts who came to town for their 45th conference – the first ever to be held outside a provincial capital. 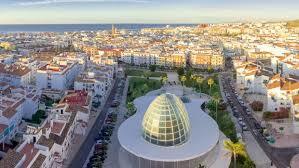 Licenses for eight new boutique hotels worth €40million of investment have replenished town hall coffers while Roman archaeological remains unearthed during the excavations have given Estepona an unexpected new tourist attraction. Meanwhile, far from being disgruntled at their parking spots being turned into picturesque pedestrian thoroughfares, proud residents are not only voluntarily tending the flower pots in their unpolluted, traffic-free streets but adding more of their own! Six years ago, Estepona was a resort without an identity, a lesser cousin to glitzy Marbella, LGTB-trendy Torremolinos and Sunshine City Fuengirola. Today it’s looking bloomin’ estupendo, not merely a garden but a Kew Gardens-come-Tate Modern-meets-the Ledbury Poetry Festival. But perhaps even more impressive is the civic pride that has been cultivated among an entire community by a local Mayor who believed in the power of flowers, and saw how a few terracotta geranium tubs could be transformed into pots of gold.